Yesterday, I watched David Fincher's latest work 'Gone Girl' (2014) in a packed Tuesday evening show. This morning I read the chapter on 'Protagonist' in Robert McKee's wonderful book, 'Story'. And these two events have compelled me to revisit the discussion on the Protagonist that I had had in two of my previous posts. The first post was about identifying the protagonist in the first two 'Terminator' movies, where I had concluded that Sarah Connor was the protagonist in the first part (1984), while the Terminator was the protagonist in its sequel (1991). The second post had ended with the puzzle remaining unsolved as I failed to identify the protagonist in Hitchcock's 'Psycho' (1960). This morning McKee solved it for me by introducing me to a new concept. A single protagonist, as is the case with most movies. A plural-protagonist: This is the new concept for me. The author argues that two or more characters can form the set of plural-protagonist if they all share the same desire and in the struggle to achieve this desire they mutually benefit and suffer with their motivations, actions, and consequences being communal. 'Thelma & Louise' (1991) and 'Seven Samurai' (1954) are examples of this. An extreme illustration would be 'Battleship Potemkin' (1925), where an entire class of the people, the proletariat, create a massive plural-protagonist. Multiple protagonists: The case where there are several characters pursuing different desires, suffering and benefitting independently. E.g. 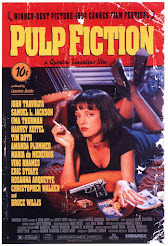 'Do the Right Thing' (1989), 'Short Cuts' (1993), 'Pulp Fiction' (1994). Going by this discussion, both Sarah Connor and Kyle Reese form a plural-protagonist in 'The Terminator' fighting against the title character, the antagonist, to save Sarah, and eventually, humanity. Similarly, in 'Terminator 2', all three characters of the Terminator, Sarah, and her son, John Connor form a plural-protagonist up against T-1000, the antagonist, to save John. These two sets of plural-protagonists share the same desire and benefit and suffer mutually in their struggle to achieve this desire. 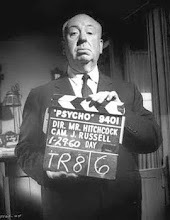 And, according to McKee, there is a remarkable formal innovation in 'Psycho'. For the first 48-minutes of the film, there is a single protagonist - Marion Crane. 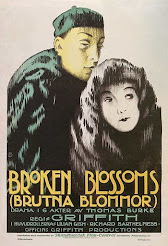 And after she is murdered, the three characters of Marion's boyfriend, her sister, and the detective take over the story, forming a plural-protagonist. I am glad that this new concept has given certain explanation to the puzzle. But the beauty of art, and cinema in particular, is such that it gives rise to more puzzles. 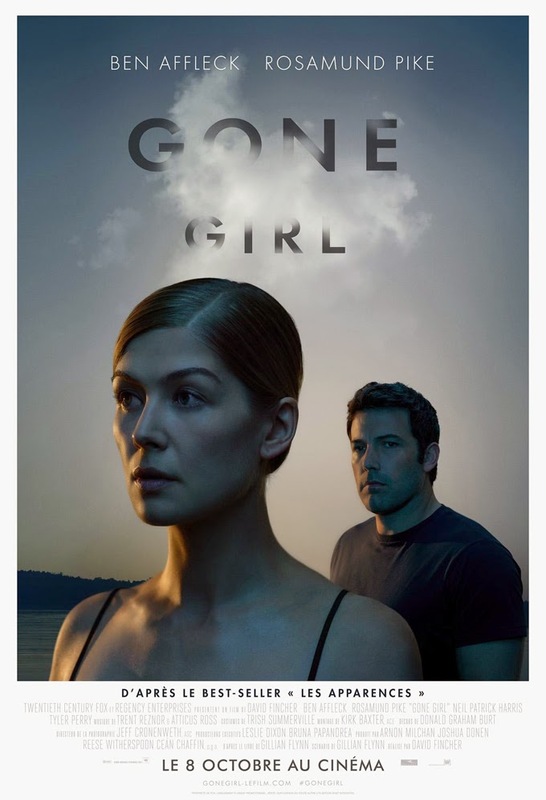 And this time, the unsolved puzzle for me, is the latest film I watched - 'Gone Girl'. Who is the protagonist of this film? For the first hour or so, it is evident without doubt that it is Nick Dunne (Ben Affleck) - a victim of the circumstances whom, despite his flaws, we want to succeed. His conflict appears to be the central conflict of the film, with odds getting increasingly difficult for him. This gets further affirmed when his wife, Amy (Rosamund Pike), reappears in the film, indulging in an extremely satisfying exposition of the truth, and solving the mystery for us. 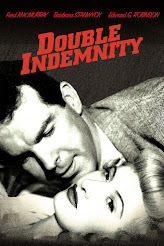 She comes across as a ruthless antagonist and the film turns into a game of chess being played through the insatiable greed of the modern media, between the husband and the wife, both aware of each other's willfulness, capabilities, and desires. I don't know about others, but I was supporting Nick throughout and hoped that Amy would fail. Despite this, I was amazed at how likeable the character of Amy was - we loved her flawless evil plans and her undeterred resolve. I also appreciated how despite the situation being against him, and he mostly relying on other factors for help and resolution, Nick continued to rise as a protagonist, with his wit, charm, and presence-of-mind. By then end of the third act though, as the story resolved itself, Amy has cleary won, in every possible way. The final act of the film, according to me, is its biggest triumph that makes it different from a regular Holywood thriller. And it achieves that mainly through the masterstroke played by the character of Amy. She wins. Nick loses. And I do not feel totally satisfied, because I really wanted Amy to suffer. Then I had a conversation with a female friend of mine. She was amazed by Amy. She did not empathise with her, because according to her 'Amy does not seek anyone's empathy'. This friend of mine, without actually meaning to do so, made me rethink the story from Amy's point-of-view. A girl who fell in love and wanted to have a special marriage, realises that her husband is not only a selfish, financially-dependant parasite, he is also cheating on her despite all she has done for him and his family. She vows revenge, and although things do not work exactly how she had planned, she still manages to teach him a big, nasty lesson, something he truly deserved, and makes everything work for her all over again. Is Amy, then, the protagonist of this story, a protagonist who remains physically invisible for the first hour of the film, and then emotionally unrelatable for the most of the rest? I just realised that the author of this story, who based the screenplay on her own novel, is a woman. Does that help, in any way, to solve this protagonist puzzle? Well, adding on, it just appeared in my mind that the protagonist could be a concept as well. If you take marriage as a concept and then see how the story builds on it and how people perceive and deal with it differently. Also, the ending lines also ask people to think about themselves and marriage - "What are you thinking? What are you feeling? What have we done to each other? What will we do?" In the language of dramaturgy, 'Protagonist' has always been a character, and never an abstract idea, concept, or philosophy. 'Marriage' in this case can be the 'premise' that the writer is exploring and the writer's take on marriage and this relationship can be the 'Controlling Idea' or the 'Theme' of the movie. 'Protagonist' remains the person who drives the story. Interesting observation, though. It certainly adds to the discussion. I am increasingly feeling that 'Gone Girl' is a lot beyond the surface. Hmm. Interesting. Also to comment on the ending of the movie, lot of discussion around how it could have possibly ended, or how unsatisying was. But my sense is , it takes a lot of courage and instinct to not give people what they want. People want justice, but can it always be given, is the question. I agree with you. I was not satisfied in the end. But I instinctively knew that it is this ending that makes this film special. The more I think of it the more I know how rewarding this ending was. Hello Sir. I too watched the movie and was waiting for a blog post about it by you. I am incredibly satisfied that I thought about the character of Amy the same way that you have mentioned in this post. I too did not like the character of Amy and wanted her to fail by the end until I found out that the writer of the story is a woman. After this information was revealed to me I re-imagined the state of mind of Amy's character. I thought about it and came to a conclusion that the character wasn't always like this and circumstances of her failing marriage had changed her in so many ways to become someone she wasn't. The plot of the movie showcases this changed Amy and how she was before is kept to the minimal time possible so that the viewer does not develop a liking towards her. Do you think this thought process and conclusion is correct? If yes, How do we decide how much of a character's journey from birth till the start of the plot needs to be covered? I would like to believe that what you and I are thinking is correct. "How do we decide how much of a character's journey from birth till the start of the plot needs to be covered?" OR "How much of the backstory should be shared with the audience?" Truly captivating, Gone Girl lingers on at the back of my mind, long after Ive watched the movie. Your blog on protagonists is an interesting read. What comes to my mind, is the classic Shakespearean protagonist in his tragedies – who is a hero with a flaw, going through an emotionally heightened situation and meets with a fatal end. In all sense, Nick emerges to be the protagonist in the Shakespearean way. We sympathize with him, accept his flaws even and are disappointed with the dismal end which he meets with – stuck for the rest of this life with his “beloved wife” Amy.